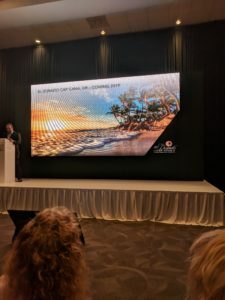 Karisma Hotels & Resorts recently hosted their 10th annual Gourmet Inclusive Vacation Consultants (GIVC) awards where the company announced their plans to open three resorts in the Cap Cana area of Punta Cana, Dominican Republic. These resorts should open by 2019. The a $300 million US investment in the Dominican Republic, the three new properties will include El Dorado Royale, El Dorado Casitas Royale, and a Sensimar Resort. Groundbreaking should begin in the spring of 2018, and the company is looking forward to expanding their resort line. The new properties will generate 3,000 jobs directly and 5,000 jobs indirect. of sales and marketing for Karisma Hotels and Resorts. El Dorado Cap Cana and Sensimar Resort Punta Cana will each have 250 rooms each. Additionally, there are rumors of a plan to build a Margaritaville Resort in Punta Cana as well that will feature 350 rooms. However, these rumors could not be verified at the GIVC awards conference. At the Nickelodeon Resort Punta Cana, a planned 200 room expansion is also underway. Karisma plans to expand in Mexico as well, and will be building three new properties in Huatulco. The new resorts will include an El Dorado Royale hotel, a Generations Resorts hotel, and a Nickelodeon Hotels and Resorts property. Groundbreaking will begin in 2019 with expectations of opening in 2020. For those excited about the new announcement, and wanting more information as it becomes available, a facebook group for El Dorado Cap Cana fans has already been created. This entry was posted in Caribbean & Mexico Travel and tagged Be All Inclusive, Cap Cana, Dominican Republic, el dorado, El Dorado Cap Cana, El Dorado Casitas Cap Cana, Karisma, Karisma Hotels & Resorts, Punta Cana, Sensimar Cap Cana. Bookmark the permalink. ← Dominican Republic Tourist Card – No More!